The temperatures were hot, the humidity was high, and the air was thick without any breeze – a pretty standard weather week for mid-July in Middle Tennessee. But that did not stop 21 young men from coming to 4:13 Strong’s Mental Toughness Week. Mental Toughness Week is the 4:13 Strong version of try-outs. Participation in Mental Toughness Week is a requirement for all men who would like to be considered for a spot in a 4:13 Strong class. The first three hours of each morning are spent working out. 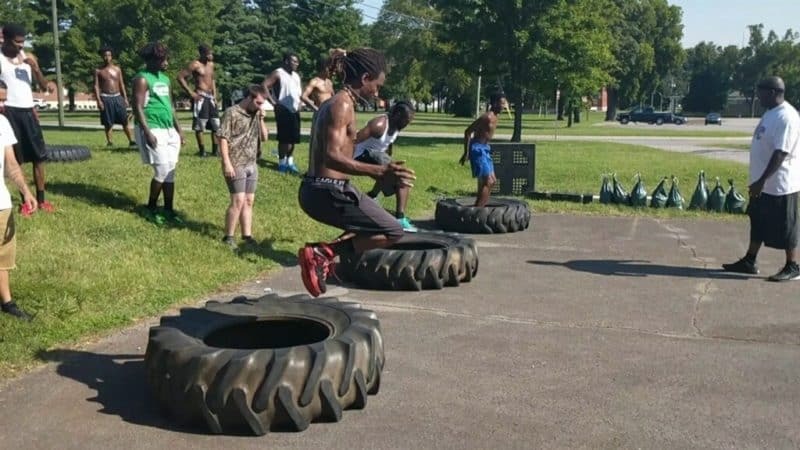 Eric Evans, our Program Director, leads the men through a series of physical activities that are designed to challenge them, especially when the 8am temperature is already approaching 80 degrees. During the workout portion of the day, we are not looking for the men who are in the best shape, we are looking for the men who can push themselves past the point of wanting to give up. We are looking for the men who can complete a challenging task and then encourage others as they work to complete the same task. In the afternoon, as the temperature approaches the mid-90s, we transition inside where Tim Queener, our Director of Workforce Training, leads the men through a number of different team-building activities. Tim assigns the men to different groups and has them work through various activities so that we can evaluate each man’s leadership initiative, level of participation and overall social interaction. The third element of Mental Toughness Week is the poem. On Monday, the men receive a copy of the poem If by Rudyard Kipling and are told to have it memorized by Friday. This is not an easy poem to memorize, and most of the men spend at least two days complaining about the assignment. But once they realize that we are serious about memorizing the poem, they begin taking it seriously as well. On Friday, the final day of Mental Toughness Week, each man must be able to individually recite the If poem. If they are unable to recite the poem from memory, they will not be selected to join the next 4:13 Strong class. This may seem a little strict, but it is a great way for us to see how seriously a man is taking the opportunity that 4:13 Strong is offering him. If a man won’t invest the effort to learn a poem over a four day period, then he likely doesn’t have the initiative and desire that will be needed to successfully complete the 4:13 Strong program. We had 21 men show up ready to take on the challenges of Mental Toughness Week and ended the week with 16 men. After 240 bottles of water, 160 pounds of ice, and a lot of hard work, we accepted 12 men into our July class. This is their moment, this is their second chance to change their life for the better.